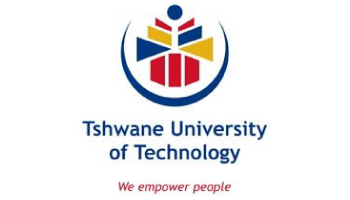 With the 2013 academic year commencing in exactly a month from today, it is all systems go to accommodate new and returning students for registration at the Tshwane University of Technology (TUT). “A lot of planning and hard work was done during the year to ensure that the registration period runs smoothly,” says TUT’s Registrar, Prof Steward Mothata. “A number of new systems were put in place and technology will be used more extensively to make life easier for students”. From 3 January 2013 online registrations, either via mobile phones or personal computers, will be open on www.tut.ac.za for senior students. “All senior students should register online wherever they are. We don’t want them on campus. We have communicated this message to them already. This will save them money, time and a lot of frustration since they don’t have to stand in long queues anymore,” says Prof Mothata. “The only students who may encounter problems to register online are those who are financially or academically excluded. Students who are academically excluded will have to report to their faculties for assistance. Students with financial exclusions can pay their outstanding fees into TUT’s account and email or fax proof of payment to TUT to have the blocks lifted. Alternatively such students can go to any registration point on any campus where the financial person on duty will assist them,” says Prof Mothata. The financial block on the accounts of senior students who have been approved to receive NSFAS funding and who do not owe the University, will be lifted automatically in January 2013. All information about what to do and where to go during registration 2012 will be available on www.tut.ac.za. There will also be Assistants on duty on all campuses to direct students on where to go. For more information please visit www.tut.ac.za. The TUT Call Centre numbers are also on the website.